What is an Indiana Month to Month Lease Agreement? Indiana Month to Month Lease Agreement: What Is It? In Indiana, a month to month lease agreement is a legal document that outlines the agreed terms of a tenancy contract between a landlord and a tenant. These contracts renew automatically at the beginning of each month and will continue to do so if not canceled by the landlord or tenant. A written lease agreement will serve as protection for both the landlord and the tenant, clarifying the terms of the agreement to ensure that there are no misunderstandings. 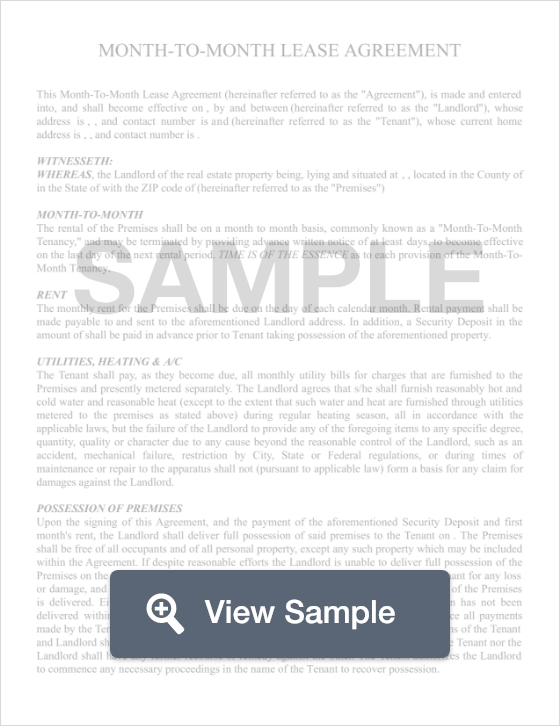 These agreements include specifics like rent payments, deadlines, and the rules of tenancy. When either the tenant or landlord wishes to end the agreement, they must submit a written termination notice giving the other party sufficient notice. According to Indiana state law, a tenant who wishes to terminate their month to month lease must submit a written termination letter to the landlord at least 30 days before the termination will become effective.